Did not think this quickie really qualified as a project, but decided to at least do this blog about it. I have been experimenting a lot lately with various toys and games. Just simple stuff got a number of older books with simple plans and ideas. Recently I made this truck.. Still needs a little work around the edges, but I like the way it turned out in general. 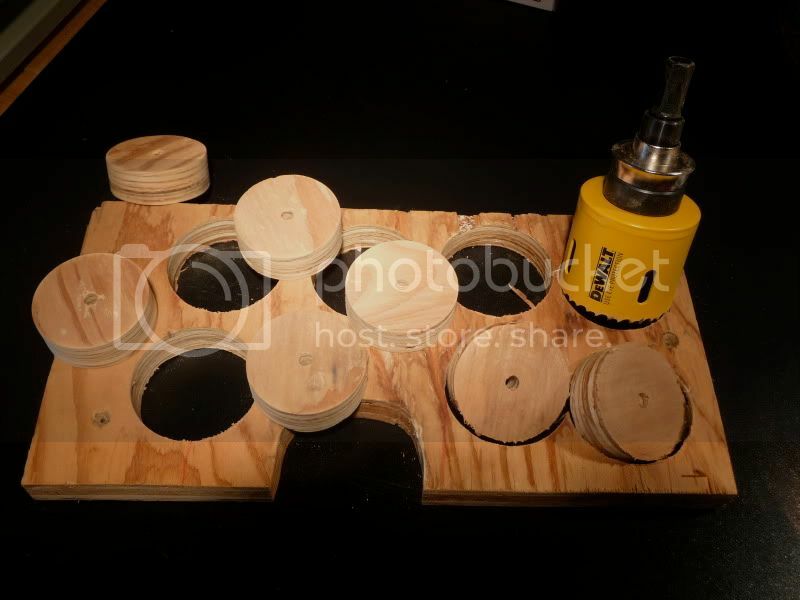 The hole saw concept of making the wheels however was not appealing to me (may just be my hole saw), So I was thinking about using dowel cut offs but needed a way to clamp them into the drill press and center them up. 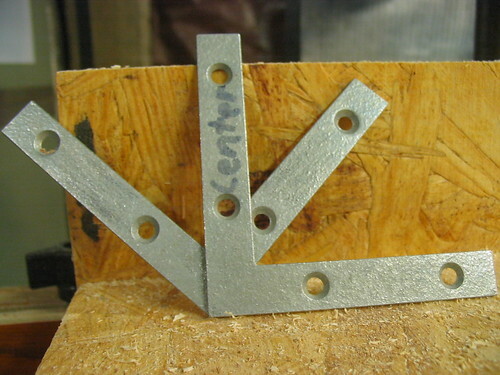 I came up with this idea based on the Colonial Jam Vise I use on my bench. The cut off just gets jammed up and can be locked in place. 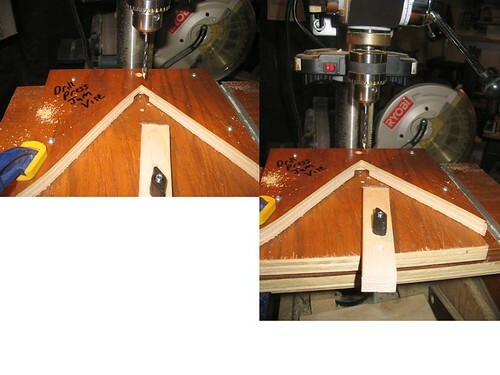 To go along with this I found a tip in an issue of Shop Notes regarding making a center finder. So for about $2 I got some parts and now have 2 of these guys. Looking forward to putting these things to good use as the holidays draw closer. Got some ideas and hope to get some good projects knocked out for friends and family this year. Cool! Ain’t it great to have the ability to be able to solve a problem and accomplish the task? It seems that each project has it’s own set of problems. That’s how we end up with a gazillion jigs and fixtures. 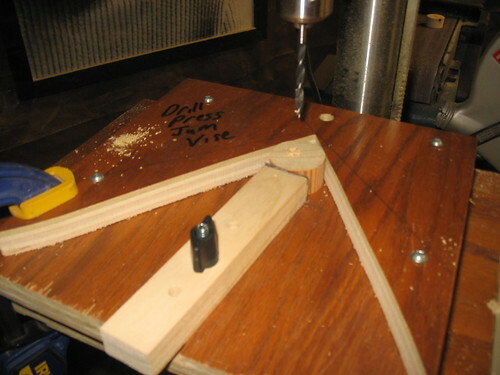 We dare not throw away a jig for as soon as we do we’ll need it on the next project. I made hockey puck drawer pulls with a hole saw on the drill press, actually my 9 yr old did, and they turned out fine. Had to make a small spacer for the back and used the cut off dowel method…almost killed myself and far less accurate in my hands. Maybe a new hole saw will work better, the yellow Dewalt worked really well. 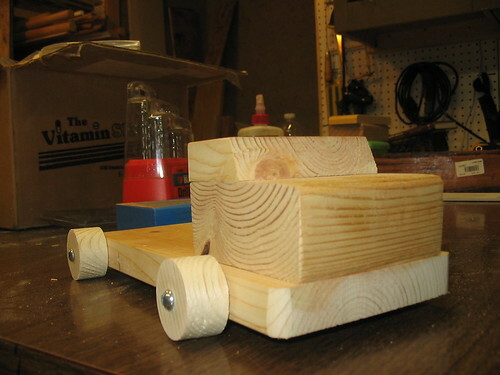 For wheels, there was no question of center. Well worth blogging about. Simple and effective, thanks for the post. Thanks all, these comments mean a lot to me as I continue to explore things in my shop. Scott thanks for the heads up on the Dewalt saw I may check that one out.